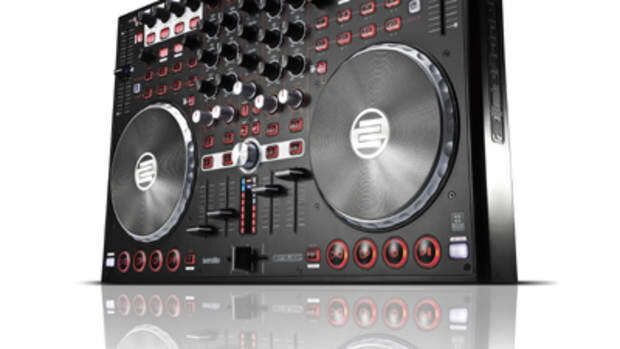 The Gemini FIRSTMIX is your gateway to becoming a DJ! 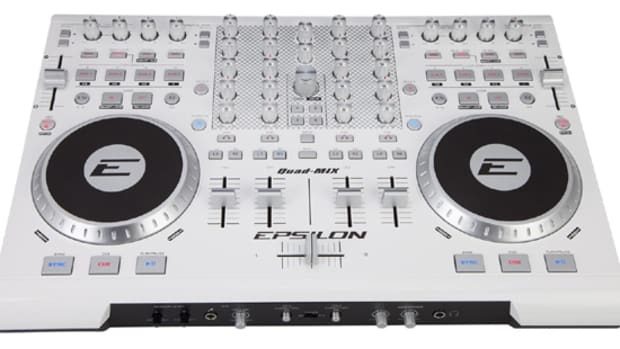 With a computer and the FIRSTMIX, anyone can begin their forays into DJing without breaking the bank or their pockets. I was able to get my hands on a Gemini First Mix in order to put it through the test. I was impressed with this compact player, so come on in and check out the review to see if this is right for you. Full Video Review Inside! 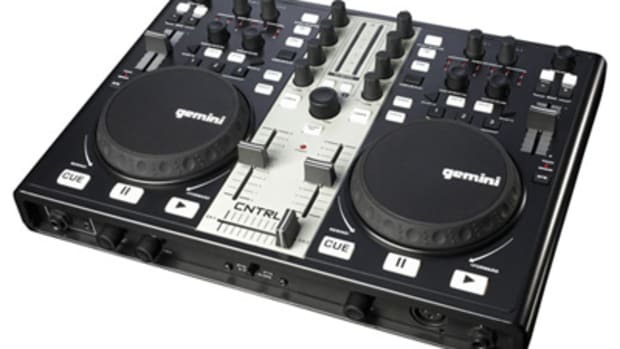 The Gemini First Mix USB Digital DJ Controller was created with the entry-level users and DJ’s on-the-go in mind. 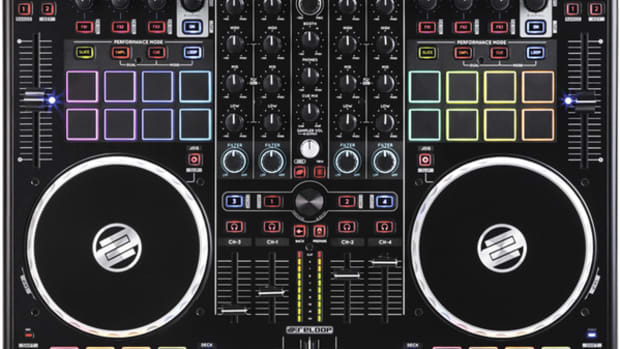 Gemini has introduced the most affordable all-in-one DJ Controller on the market today and there are enough features here to complete basic mixing and other basic DJ functions. 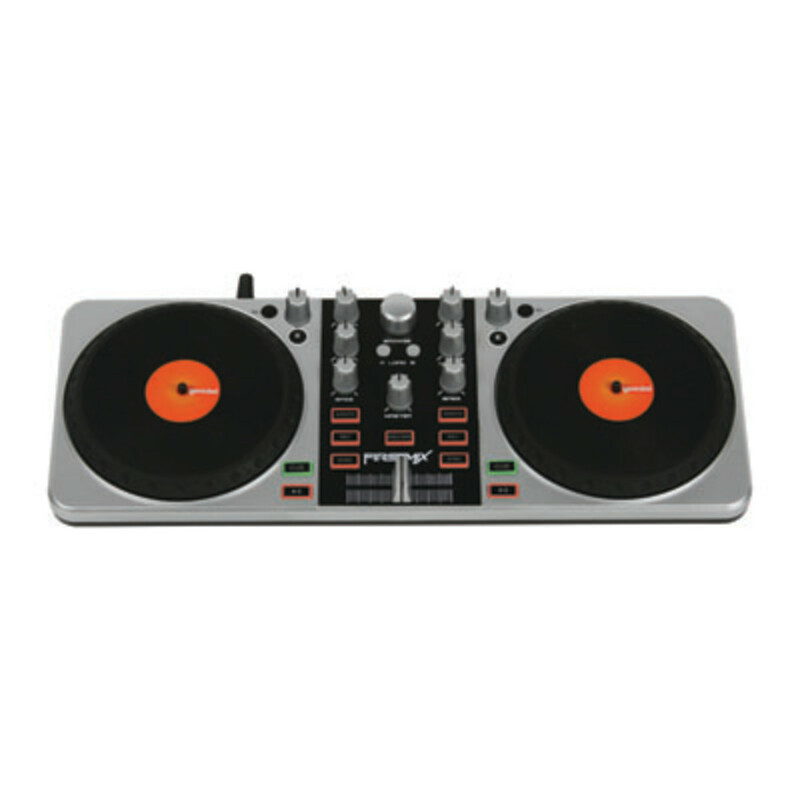 The touch sensitive jog wheels are good enough to mix with and the crossfader is capable of smooth mixing action. 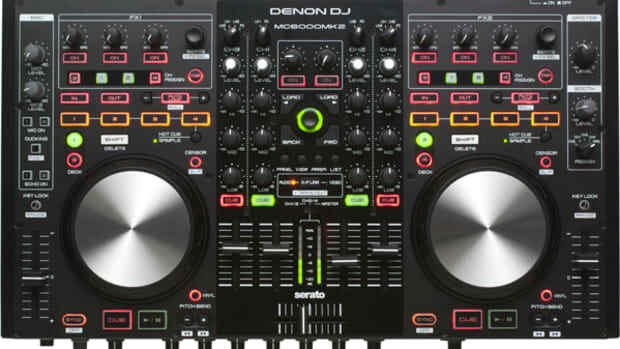 The fact that this unit also has basic effects, loops, and hot cues are all additional extras that make this device a fun tool for any DJ. The Gemini First Mix is a very compact machine making it easy to transport and use virtually anywhere you can open up a laptop. It’s very hard to find fault with an $80 machine that does this much. There are a few obvious shortcomings that I have been able to identify, but if these issues were addressed, then this controller would easily cost over $200. 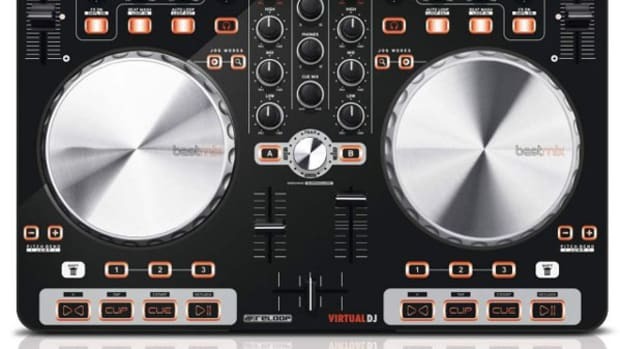 As it stands, the Gemini First Mix can make scratch sounds, but the lag makes it very difficult to do anything complex or on-beat, and the lack of inputs/outputs or headphone jack can make it tricky to take your DJ game to the next level without upgrading to a different setup. When it’s all said and done, the Gemini First Mix is a great (or possibly the best) starter DJ setup an entry-level DJ can buy. The size of the First Mix makes it great for DJ’s of all skill levels to take it with them and mix in places they normally couldn’t. 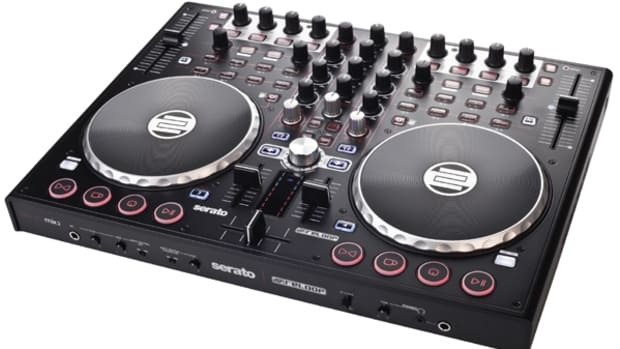 It’s not perfect, but the Gemini First Mix a nice compact controller that is a great starting point for aspiring DJ’s who don’t want to shell out tons of cash to see if this is the right hobby for them to pursue.